Welcome to soccerloco, your one stop shop for authentic soccer jerseys. Whether you’relooking to buy a new soccer jersey for yourself or your entire team, soccerloco has all the popular players and clubs in the styles you want – all at deeply discounted prices. Choose from our wide selection of authentic soccer jerseys and support your favorite club or national soccer team. We sell jerseys from the Premier League, La Liga, Ligue 1, and many other leagues with top teams in the world such as Real Madrid, Chelsea, Manchester United, Liverpool, PSG and more. Get the best soccer jerseys from Nike, adidas, Puma and more, and silkscreen your own team’s logo on the front for a professional look. 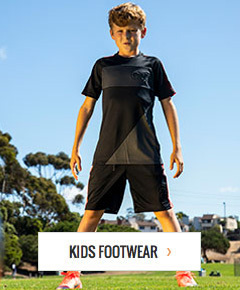 Find the perfect fit for your youth soccer team with our wide selection of youth soccer jerseys for sale. With our great selection, fast, flat-rate shipping and no-hassle return policy, you’re sure to be happy with your next purchase at soccerloco. Check out our full range of soccer jerseys for sale below. Soccerloco has got you covered, buy soccer jerseys today!